Author: Eksteins, Modris Set In . . . 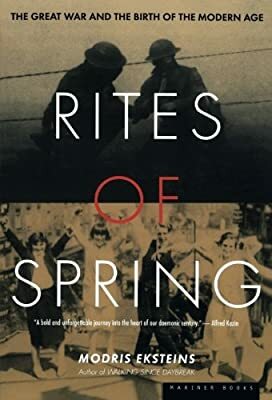 Dazzling in its originality, Rites of Spring probes the origins, impact, and aftermath of World War I, from the premiere of Stravinsky's ballet The Rite of Spring in 1913 to the death of Hitler in 1945. Recognizing that “The Great War was the psychological turning point . . . for modernism as a whole,” author Modris Eksteins examines the lives of ordinary people, works of modern literature, and pivotal historical events to redefine the way we look at our past and toward our future.